When your stay in New York is over, skip the hassle of traffic or public transport -- you deserve better. Instead, travel like a VIP with this private helicopter flight from Lower Manhattan to any of the three major New York-area airports (JFK, LaGuardia and Newark). This luxury, high-speed transfer gets you to the airport in less than 10 minutes, so you can rest assured you'll make your departure flight. Plus, you'll get breathtaking bird's-eye views of the city during your stylish exit. 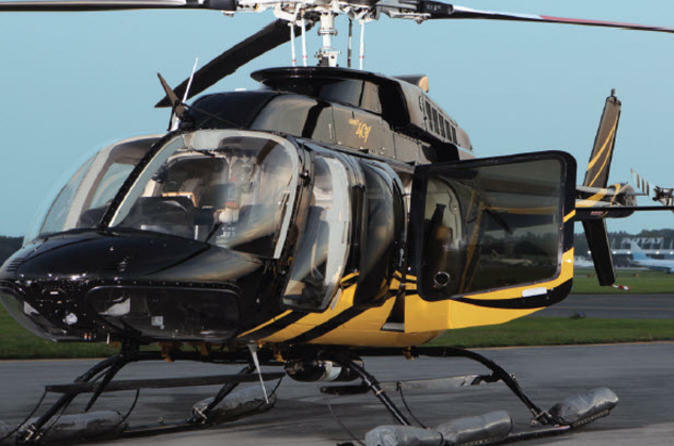 At the end of your stay in New York City, make your way to the Downtown Manhattan/Wall Street Heliport on Pier 6 in Lower Manhattan to board a luxury, state-of-the-art helicopter. While everyone else deals with the hassle of public transport and taxis -- not to mention traffic -- you'll be whisked away and taken to the skies on a private helicopter flight. Enjoy unobstructed aerial views of New York below you as you travel in style to John F Kennedy International Airport, LaGuardia Airport or Newark Liberty International Airport -- the three major airports serving the New York area. You’ll arrive at the airport in less than 10 minutes, making this is the fastest way to get to the airport for your departure flight!